This ACE location sits at the intersection of W. Anaheim St., and N. Avalon Blvd. In the same plaza as El Super Supermarket, this location has plenty of free parking for customers. Bus lines #202, #232 and #246 of DASH all have a stop at Anaheim/Avalon—a short trek from this location. Visit LA Dot Transit’s website for more details and route schedules. If you’re hungry, Yoshinoya, China Wok, El Pollo Lico, and Subway are all within walking distance. Come to Ace Cash Express for an Auto Title Loan powered by LoanMart in Wilmington! When financial trouble strikes, be prepared with an impressive auto title loan powered by LoanMart in Wilmington. With affordable help, you may be able to receive emergency funding to help make that outstanding payment and get debt collectors off your back. If qualified for an auto title loan powered by LoanMart, inquirer’s in Wilmington could receive up to $30,0001 in as little as one business day3. An auto title loan uses the title to a vehicle as collateral to obtain funds. The qualifications are based on a variety of factors, including your vehicle’s equity, your income, and the number of miles on the vehicle. Find out more about applying below. Opportunity to refinance an existing auto title loan from another lender if qualified. if qualified. Zero driving restrictions while you make payments. Fill out the information request form below and wait for a call from a representative. Call LoanMart’s toll-free line directly. Click Chat Now to chat with an Agent during available hours. 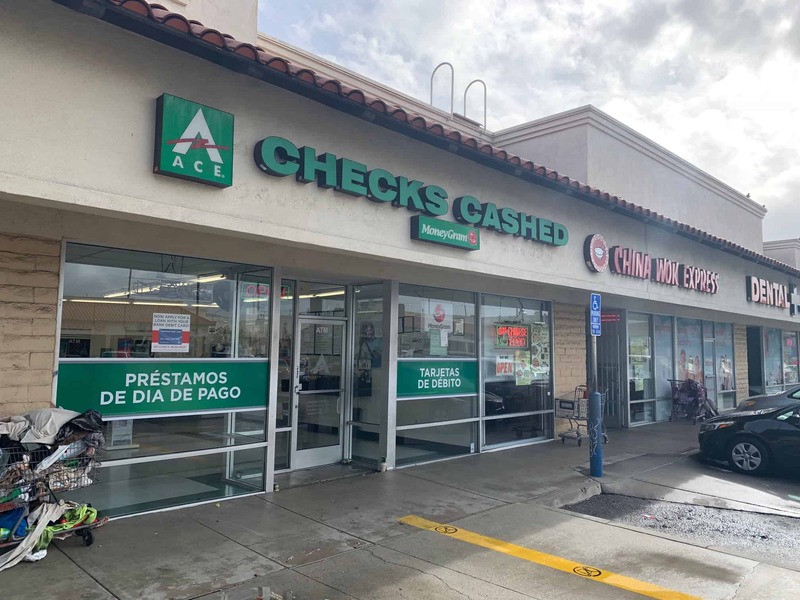 Visit an ACE Cash Express location. Choose whichever inquiry method is most convenient for you, and pending approval, your loan representative will chat with you about picking up your money at ACE Cash Express!